Franklin L. Kury is a public speaker and writer with a deep interest in Pennsylvania history. 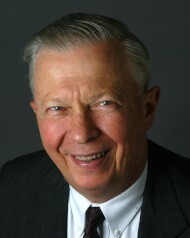 A retired lawyer, he served in the Pennsylvania House of Representatives from 1966 to 1972 and the State Senate from 1972 to 1980. In the House he was the author of the environmental amendment to the state constitution (Art. 1, Sec. 27) and led the effort to enact it.